Dogen (1200-1253 C.E.) founded the Soto school of Zen Buddhism in Japan. His teachings are the very embodiment of the paradoxical blend of mystery and clarity that characterizes Zen. 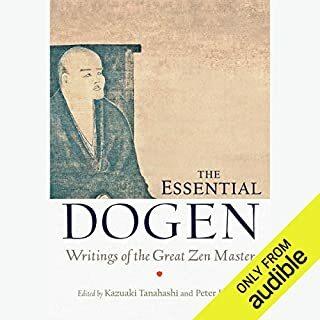 Dogen's approach to meditation has become perhaps the most influential Eastern spiritual practice in the Western world. The selections in this program are from Moon in a Dewdrop. 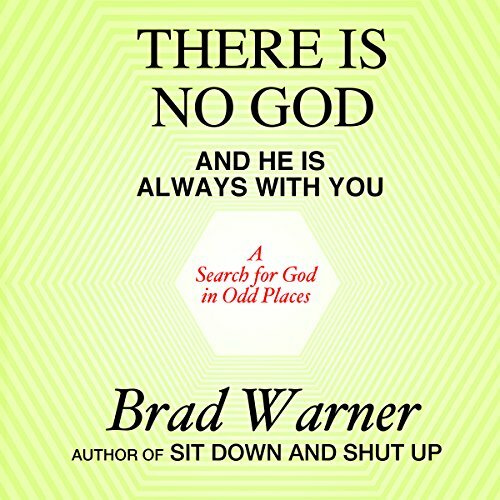 The subject matter of Brad Warner's book "There Is No God and He Is Always with You" could be extremely controversial. But Warner has thought through much of the opinions expressed and has explained his points in a way that, even if the reader doesn't agree, they should be able to recognize his position as well dictated and holding equal merit to their own. I don't know if I agree with all of Warner's arguments, but his perspective is fun, entertaining and addictive enough to keep me listening. There is something to be greatly respected by the fact that Warner records and narrates his own books. Even with the production flaws that life brings, I find this choice to provide a powerful connection to the man behind the words that just reading or a different narrator would lack. Certainly not what I expected, definitely his best book so far. I am going to listen to it again right now! Great<br />reading by the author. Great perspectives and stories. It's like sitting down and listening to a good friend. Enjoyed while on my daily walk. great insight. good use of references throughout the book. seems genuine. 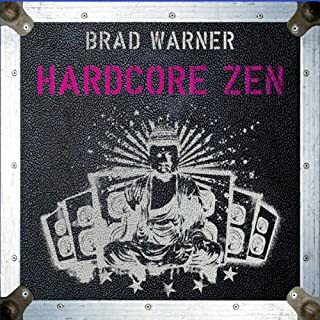 God and Brad Warner...What's not to like. In general can be dense and complicated, as these subjects are. But his humor and down to earth approach and interpretation of complex philosophies and teachings make these teachings come alive for me. Do not be deceived by what some might describe as Brad's goofiness. This is a pretty smart guy, who as far as I'm concerned, gets "it". 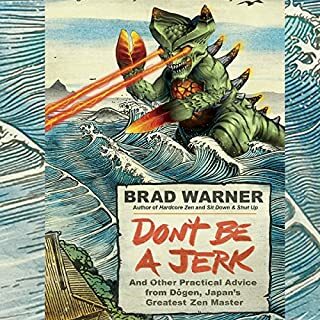 So treat yourself to this, or one other of Brad's audio books, because he's fun and certainly gives you food for thought. I have to think about this one. A good read, possibly very good (when it sinks in). 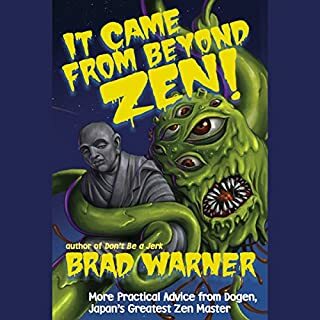 Brad Warner is a likable guy with a refreshing view on Buddhism vs god. 3,5 stars for content + 0,5 for author coolness when "speaking up". You have to listen fit the right reasons, mind open. Check your preconceptions you'll enjoy. Such a great book. I would recommend this to anyone that wants to bridge the gap between Christianity and Buddhism. The title about sums it up. Things often don't make sense, so how do we sort things out? Is there a God? what is God? Who knows, but this is Mr. Warner's opinion on the subject, not Buddhist teachings, but rather his own thoughts. It didn't answer any questions for me, but I found it very interesting to follow his thinking. The book is well written and I enjoyed his "at home" narration, background noises and all. 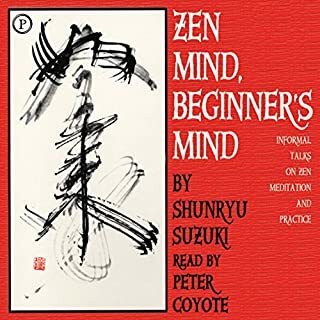 A really interesting and thorough examination of Zen and God, with plenty of good humour thrown in. Thanks Brad.